Tennessee would dramatically overhaul how it provides healthcare to its lower-income and disabled residents under a proposal the House advanced Thursday. The bill cleared the GOP-dominated chamber on party lines, with 68 Republicans in favor and 21 Democrats against. It's a proposal considered one of the top policy debates of the sessions, yet many in the minority party were visibly upset after being cut off from the debate and forced to cast a vote before all members had a chance to speak. "Part of the motivation to bring this legislation is not to cut services ... but ... to eliminate the cost of compliance with the federal government," said Rep. Timothy Hill, a Republican from Bluff City and one of the bill's sponsors. The measure would require Gov. Bill Lee and the Department of Finance and Administration to submit a waiver within 120 days of the bill becoming law asking the federal government to send a fixed amount of money each year in the form of block grants. If the waiver is approved by the CMS, it would then need the General Assembly's endorsement. However, the likelihood of the bill being implemented is still largely unknown. To date, no state has ever been given permission to rely solely on block grants to pay for Medicaid. Critics say it could result in states — particularly those under Republican control — covering fewer people or offering skimpier benefits due to the potential leniency and lack of oversight. Republicans counter that support of Medicaid block grants is growing under President Donald Trump's administration and that the Republican-controlled U.S. Senate could help pass the measure. They note newly elected Tennessee Republican U.S. Sen. Marsha Blackburn backs the idea. 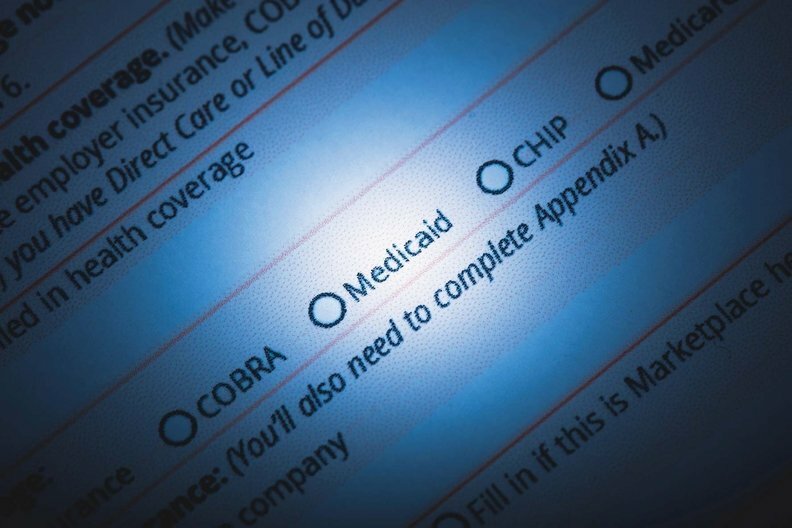 According to supporters, the goal is to allow states more flexibility to shape their Medicaid programs while also being given the opportunity to rein in spending. Currently, the federal government pays an agreed-upon percentage of each state's Medicaid costs, no matter how much they rise in any given year. For Tennessee, that means the state receives approximately $7.5 billion in federal money for its $12.1 billion Medicaid program. During Thursday's debate, a handful of the House's Democratic members urged the chamber to expand Medicaid eligibility as allowed under former President Barack Obama's signature healthcare law instead of experimenting with a waiver program. "I am not implying the governor or legislature would do more harm, but I think we can do more, we can do a lot better, we can afford to do better," said Rep. Dwayne Thompson, a Democrat from Nashville. To date, 31 states have opted for the expansion, but Tennessee has resisted, despite calls from health advocates who point to the state's uninsured population and limited options for healthcare. At one point during the debate, Majority Caucus Chairman Cameron Sexton said no one in an emergency room has died because they didn't have access to healthcare — a claim disputed by medical experts who counter patients without health coverage often risk waiting until their conditions advance too far for effective treatment. Majority Leader William Lamberth used a procedural move to prematurely end the debate. It's a common move allowed in the General Assembly, particularly with Republicans holding control of both chambers, but one that still sparks exasperation from Democrats who are upset over their limited chance to voice different opinions on policy matters. House Minority Leader Karen Camper, who was standing near House Speaker Glen Casada, grabbed Casada's microphone away from him to object and point out several Democrats who had not had a chance to debate. But Casada admonished Camper's actions as out of order and the measure was easily passed by the House. It must now clear the Senate.